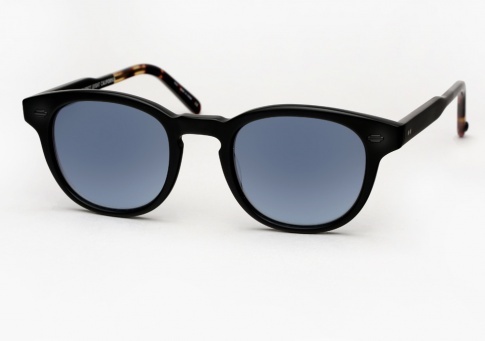 Garrett Leight Warren - Matte Black Need Help? The Garrett Leight Warren is a timeless unisex sunglass with classic proportions. It features thick acetate and metal plaques lending a vintage vibe, balanced with a two-tone detail that is decidedly contemporary. Additionally its riveted 5-barrell hinges offer strength and durability. It is offered here in "Matte Black" with "Dark Tortoise Fade" temple tips, paired with "Denim Layered Mirror" lenses.